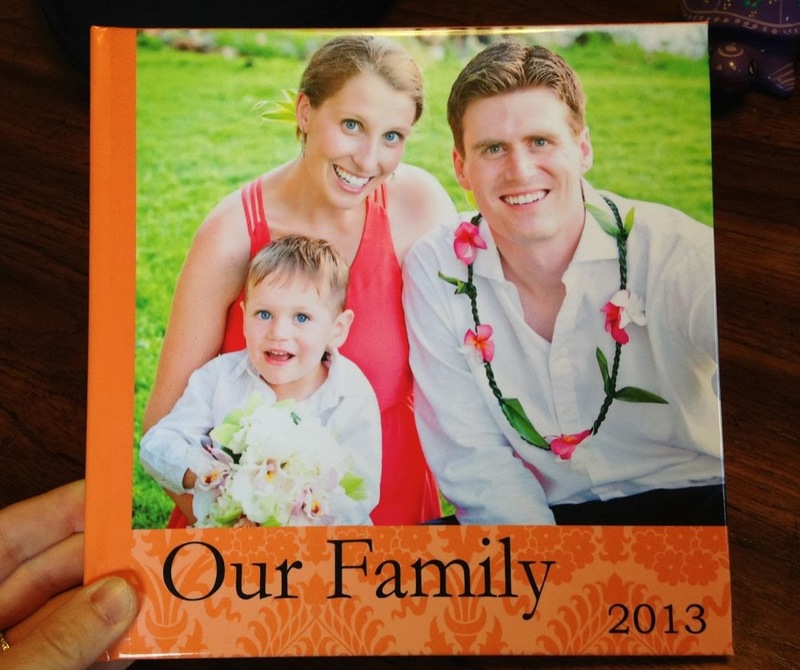 Speaking of projects, we also finished up our 2013 yearly photo album. 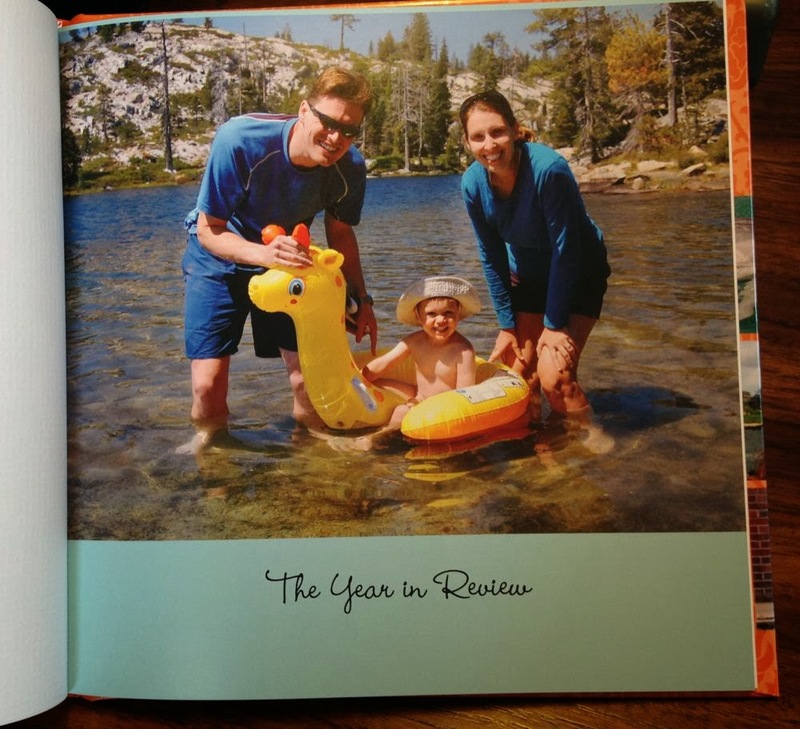 The J Family Yearbook, if you will. 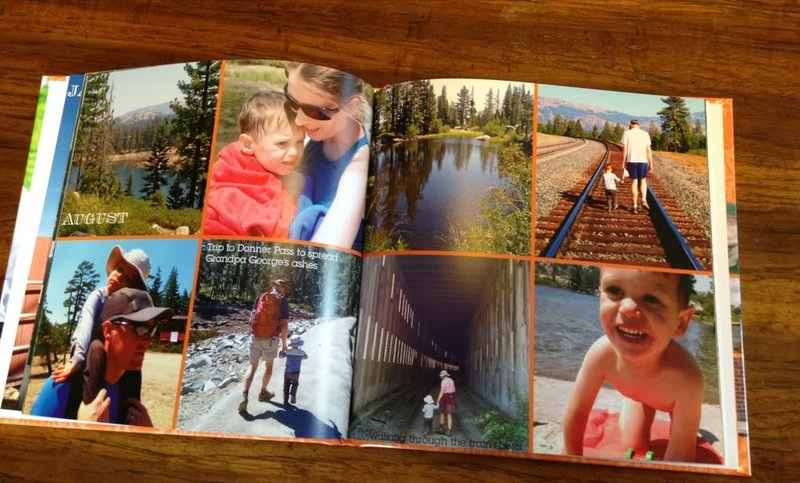 As with the other albums, we went with the 8x8 book from Shutterfly. It's strange to think of a time when Emma wasn't a part of the family, but really, it was only a few short months ago. Had she been born 12 days earlier (in December), she would have made the cover. But she's a 2014 baby so she'll have to wait for next year's edition. This photo was from our trip to the Sierras this year. Long Lake, near Truckee (California) is one of my very favorite spots. (Although this year I got stung by a wasp while eating lunch so it wasn't quite the exactly perfect lakeside adventure I was expecting). Putting together the albums is a trip down memory lane, especially for the early months. Ben only turned two last year? Man, that seemed like ages ago. Two going on fifteen. You'll notice that we don't stick to a particular theme or format. Pretty much anything flies. Ben is especially fond of this page. And he always starts it the same way: "This is my family! 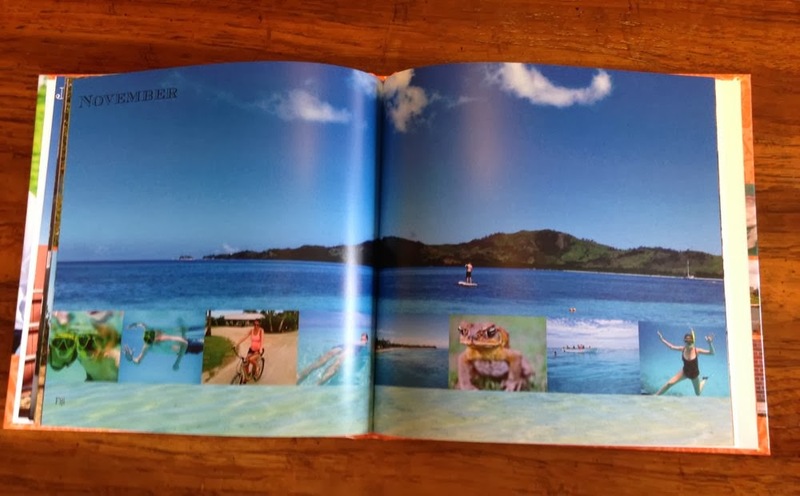 Here is me, and my mommy, and daddy, and Auntie Katherine..."
Fiji got its own spread. A special trip warrants a few extra pages, dontcha think? 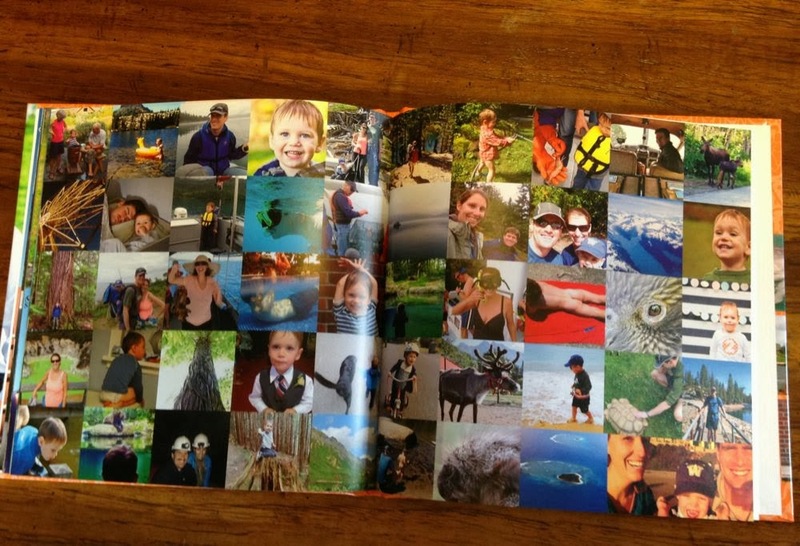 The last pages are always a hodgepodge of photos, mostly iPhone pictures. They're all the ones that didn't make the cut up font. And there you have it. 2013, done and done.